Practical as well as stylish, Vertical Blinds are ideal for controlling the amount of light that enters your room and for protecting furnishings from sunlight. 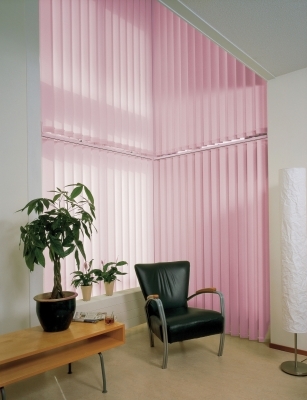 Perfect for large patio windows and conservatories - vertical blinds can create stunning effects whilst maintaining privacy. Featuring a slim-line powdered coated aluminium headrail our Vertical Blinds come in 2 different slat widths, 89mm and 127mm, and a variety of styles contemporary colours and textures.